Priority Care Ambulance™ is a private medical transport service that provides transportation via ambulance. We provide non-emergency transportation across North Carolina and are based in Wake County, North Carolina. Priority Care Ambulance™ is authorized to transport anywhere in Wake County and any transports to and from Wake County, NC. 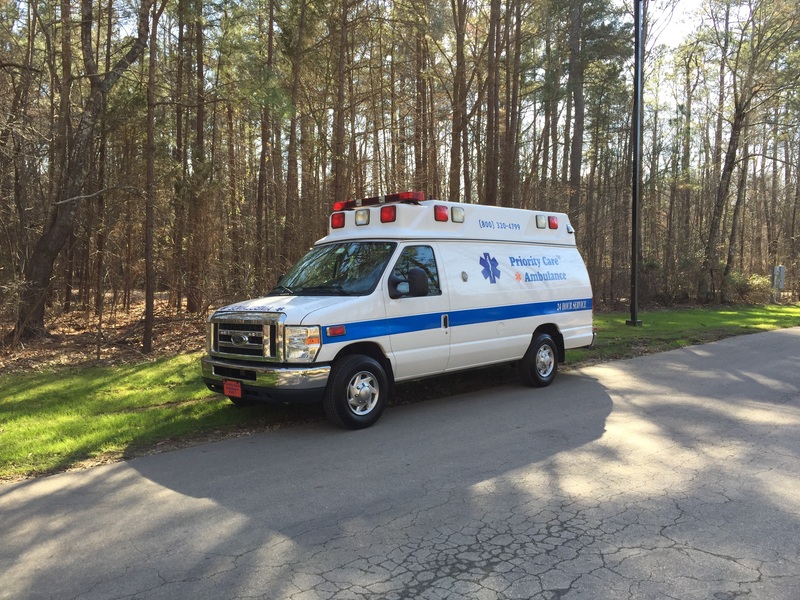 Priority Care Ambulance™ will also accommodate out of state ambulance transportation to and from Wake County, NC. We provide service 7 days a week. At Priority Care Ambulance™, our philosophy is to deliver the utmost highest standard of patient care while treating each and everyone of our patients like family. We continue to strive ourselves on providing the most compassionate and courteous care while treating our patients uniquely to their needs. We pledge to provide on-time service in a timely fashion. Priority Care Ambulance™ staff are experienced and trained in both emergency and non-emergency situations. All staff are credentialed by North Carolina Office of Emergency Medical Services. Learn more about us or get in touch!